Variator… the scooter's soul. 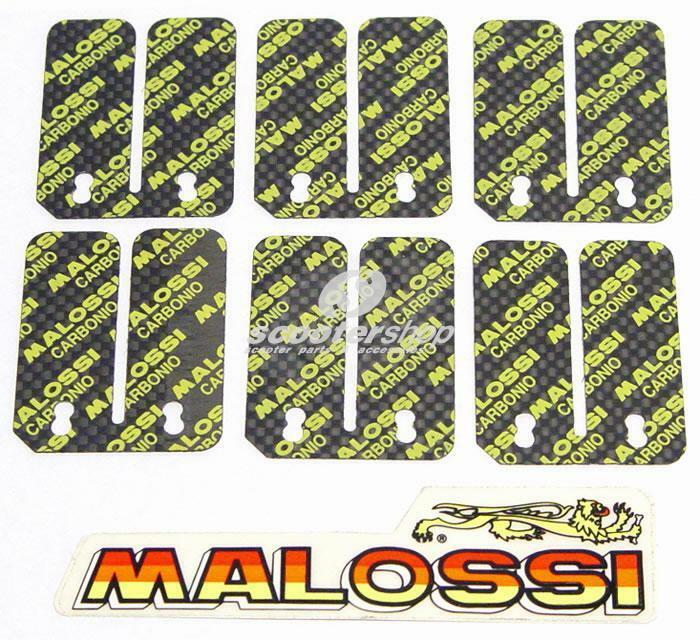 That is why the scooter tuning leading company Malossi has spent so much time and effort on it… And the results? Smashing!!! 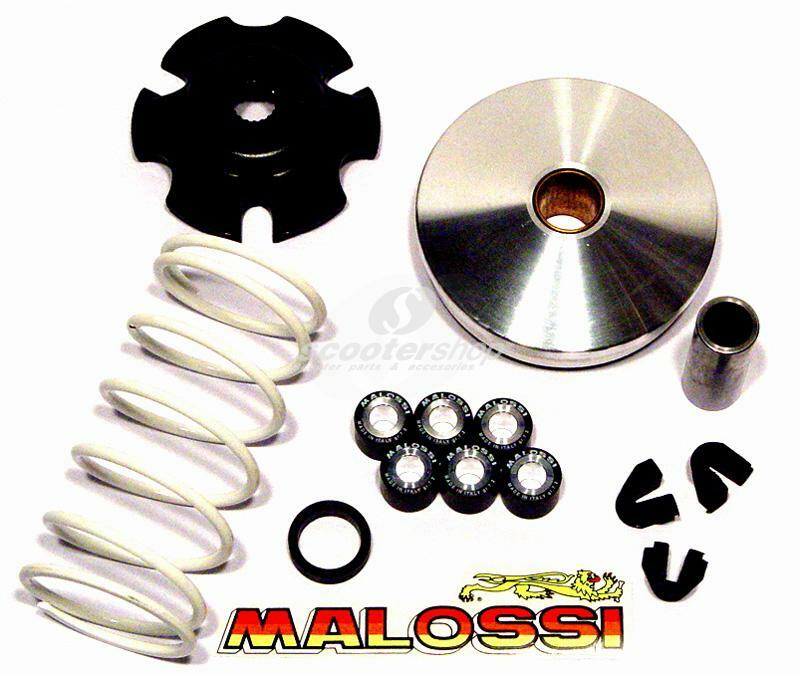 "Multivar" -the variator by any Malossi- becomes a necessity for every scooter. 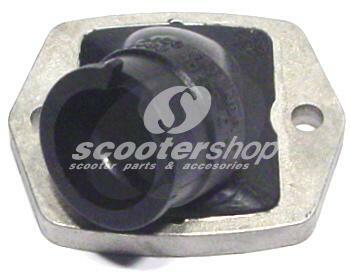 The engines performance is given a boost on the whole rpm range. It works perfectly also with the original belt (though a Malossi belt is recommended). Its placement hides no secret, while the set is complete including almost everything you might need (rollers, reinforced springs -only when needed, sliders, variator plates, variator pin). 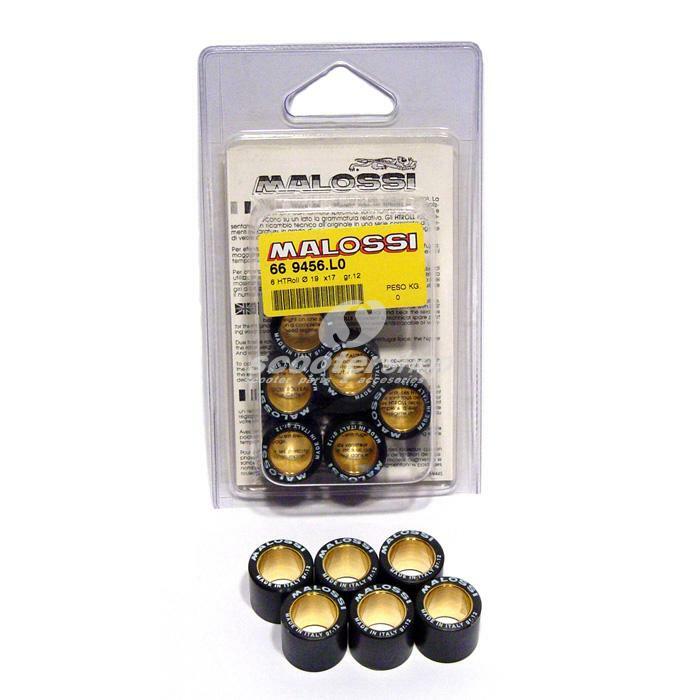 Rollers Malossi Ø 19x17 12,5 gr.